Regardless of the type of services or products that you’re actively trying to place on the market, generating reviews is quickly becoming the brand new marketing currency as more and more people turn to their peer’s opinions in order to formulate a purchasing decision. This is absolutely paramount in terms of importance and relevance for your business and failing to realize it will inevitably leave a lot of money on the table. There are, however, a lot of benefits of generating reviews that a lot of people fail to realize. Let’s have a look at some of the hidden benefits which make reviews so treasured and a serious part of any marketing strategy. 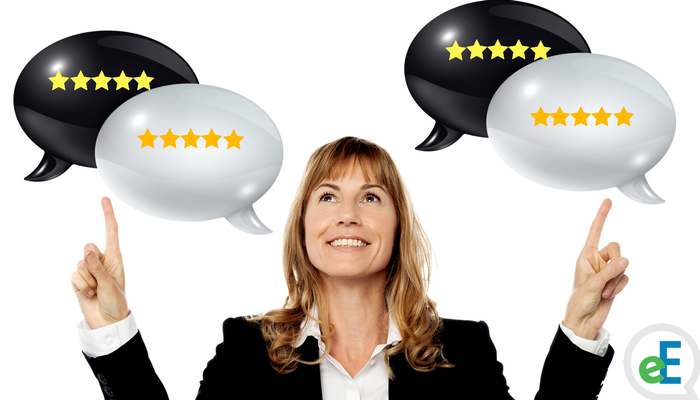 Regardless of whether it’s an Amazon-style testimonial, a blog post or a positive tweet, every single customer review increases the chance of your business getting discovered. With this in mind, it’s obvious that a steady flow of strong reviews will also have a lot of additional benefits. These include enhanced positions in different search engines, stronger overall presence on the internet and solid reputation. Another interesting fact is that reviews tend to scale on their own. If someone leaves some sort of feedback, others are likely to follow as well. Of course, you can easily capitalize on those reviews by sharing the best ones through different social media channels in order to strengthen your overall brand awareness. Now, it’s usually not the best approach to go ahead and openly bash your competition and that’s something that every experienced B2B or B2C marketer is perfectly well aware of. However, when this stems from a completely impartial third party different from your brand, it’s perfectly welcomed. And, here’s another insight: customers are looking for this kind of information. They want to know whether it’s your company that’s better or whether it’s your competitor that offers the better service. When they see an independent third-party review pointing to a certain direction, they’d be more inclined to follow up. Conversion rate is undoubtedly amongst the most important metrics when it comes to inbound marketing. Most of the review websites are likely to contain a link which leads to the product or service that’s being reviewed. Those customers who spend their time reading the same are likely to follow up in order to take a look at what’s on the table. This is where your web copy is going to play a critical role. Make sure that it’s appealing, persuasive and compelling so that you can grab their attention and retain it. They are already more inclined to take action and you need to navigate it further on. Reviews are obviously critical. Keep in mind, though, that they are not out of the control of your marketing team. Therefore, you should expect them to create an advocacy strategy which will help your brand nurture customers in an attempt to enable them to further understand their product prior to leaving a review. This will prompt more positive testimonials and, hence, stronger online presence.